On Day 1 of your 30-Day Quick Start Guide, you completed your first run. During your first week, you slowly increased your run time/distance. Now you're ready to challenge yourself some more by continuing to increase your run intervals and build up your new running habit. Day 1: After a 5-10 minute warm-up with a brisk walk, begin your run/walk intervals. Run at an easy pace for 1 minute, then walk for 5 minutes. Repeat that sequence 3 times. Day 2: Run at an easy pace for 1 minute, then walk for 4 minutes. Repeat that sequence 3 times. Try to work on using proper running form. Day 4: Run at an easy pace for 2 minutes, then walk for 4 minutes. Repeat that sequence 3 times. Try to work on proper breathing to help avoid side stitches. Day 5: Rest or cross-train (activity other than running). Day 6: Run at an easy pace for 3 minutes, then walk for 3 minutes. Repeat that sequence 3 times. This week you're going to continue increasing the amount of time you're running and decrease your walking intervals. Day 8: Run at an easy pace for 4 minutes, then walk for 2 minutes. Repeat that sequence 3 times. Day 9: Rest or cross-train. Day 10: Run at an easy pace for 5 minutes, then walk for 2 minutes. Repeat that sequence 3 times. Day 11: Run at an easy pace for 6 minutes, then walk for 2 minutes. Repeat that sequence 3 times. Day 13: Run at an easy pace for 7 minutes, then walk for 2 minutes, then run at an easy pace for 7 minutes. Day 14: Rest or cross-train. Running should feel a little bit easier this week. If you're still struggling, don't worry -- you'll start seeing improvements very soon, as long as you maintain your consistency. Does your running route include any hills? If so (or if you include inclines during treadmill runs), you should learn the proper hill running technique. Day 15: Run at an easy pace for 8 minutes, then walk for 2 minutes. Repeat that sequence twice. Day 17: Run at an easy pace for 10 minutes, then walk for 2 minutes. Repeat that sequence twice. Day 18: Rest or cross-train. Day 19: Run at an easy pace for 12 minutes, then walk for 2 minutes, then run at an easy pace for 6 minutes. Day 20: Run at an easy pace for 13 minutes, then walk for 2 minutes, then run at an easy pace for 5 minutes. You now have three weeks of running under your belt, and you should be feeling really good about your progress. This week you're going to keep making small increases in your running intervals. If you feel like you need a motivation boost, read tips for staying motivated to run. Day 22: Run at an easy pace for 14 minutes, then walk for 2 minutes, then run at an easy pace for 5 minutes. Day 23: Rest or cross-train. Day 24: Run at an easy pace for 15 minutes, then walk for 2 minutes, then run at an easy pace for 4 minutes. Day 26: Run at an easy pace for 16 minutes, then walk for 1 minute, then run at an easy pace for 4 minutes. Day 27: Rest or cross-train. Day 28: Run at an easy pace for 18 minutes, then walk for 1 minute, then run at an easy pace for 3 minutes. Day 30: Congratulations on making it to Day 30! 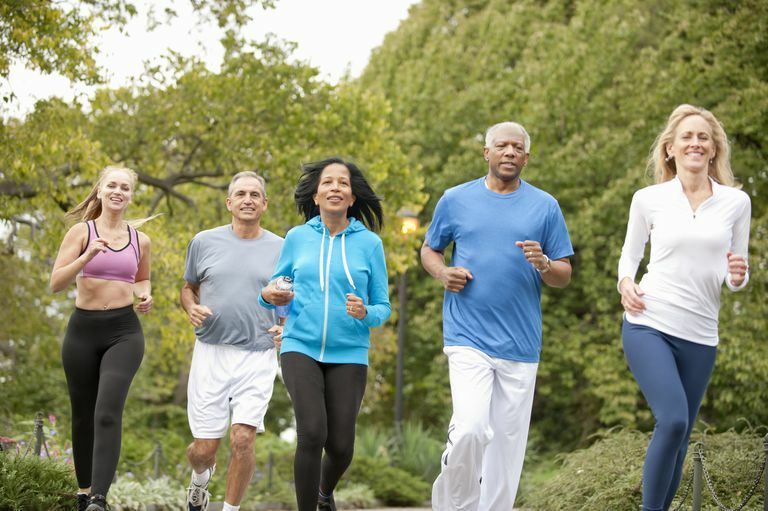 Try walking for 5 minutes to begin and end the workout (your warm-up and cooldown), and run for 20 minutes in between. Ready to take the next step? Try this Beginner 5K Training Program. Even if you're not planning to run a 5K, this program will get you running three miles continuously.